A template with killer details that will flatter every wrap design! 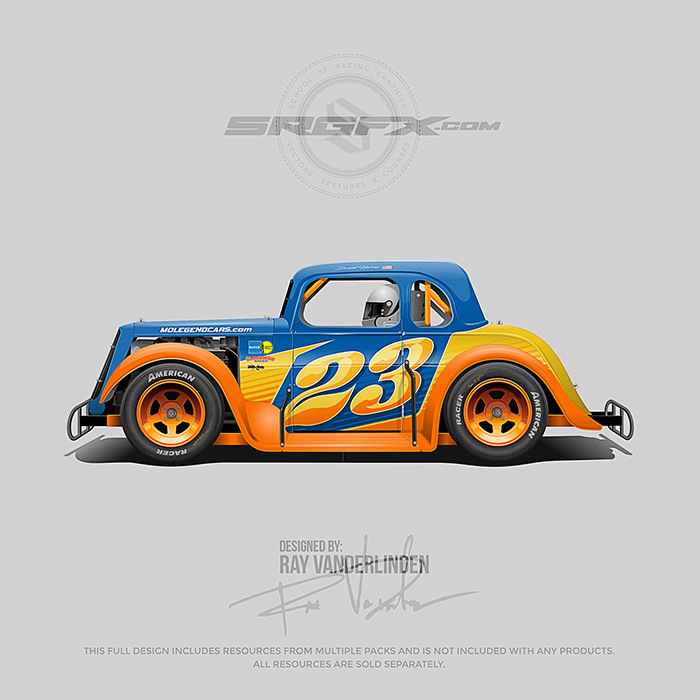 Still proofing your wraps on a flat coupe legend template? How come? 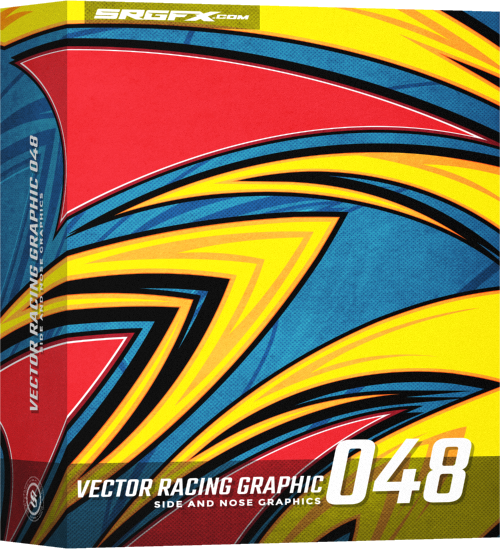 The SRGFX Dirt/Asphalt Legend layout template is highly detailed and will bring out the best in any and every wrap design you can throw at it. 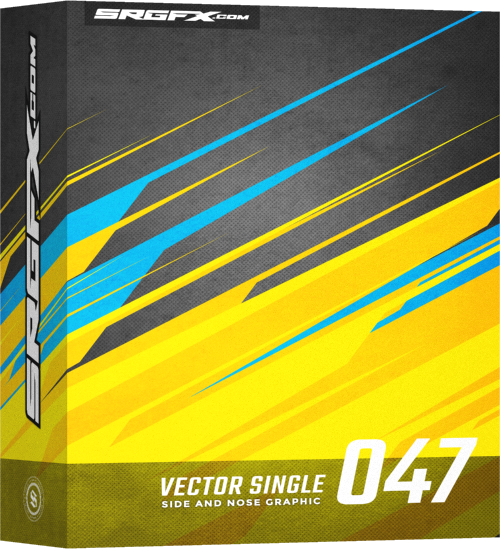 The SRGFX Coupe Legend Template creates awesome project proofs and portfolio layouts. 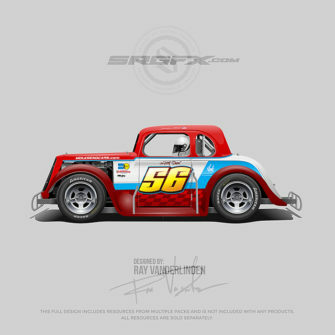 It’s no secret, the best way to get approval on a wrap design is to display it in full and flattering context. Poorly designed, inaccurate templates will actually hinder customer approvals. This means more design time for you with the possibility of endless changes! Why? Your client is trying to imagine the wrap design on the actual car, if the proof is not placed into a well-executed context, well… It leaves a lot to the imagination. The SRGFX Coupe Legend Template shows every angle with lighting and shading effects that will get you approvals on the first proof and minimize client change requests. Decrease customer changes, increase your project approval times. Don’t leave your design open to interpretation because of a poorly designed template or no template at all. Show your clients exactly what they are getting, by proofing like a BOSS! The added benefit is you will be able to display your wrap designs in a stellar format in both your portfolio and social networks. This will help give confidence to potential new clients, that you can get the job done! Take a look at our growing list of legend wrap designs here for proof. We also included flat color versions of each file, for design software that does not handle gradients. I’m a beginner designer that’s self-taught in illustrator – these guys make it easy with this template! I was able to swap out colors on groups of items such as the body, roll cage\frame in no time. Everything is sorted out in a logical way in layers – throw your artwork on the layer they reserved for it and off you go! The fully detailed version with reflections make the end result look very professional with little work. This purchase was a no-brainer even if you only end up using it for one client. I think this template is absolutely amazing. When it comes to attention to detail they nail it, all the way down to zip ties on the wires. Very life like look to the graphic, even has a face in the helmet. I have always been happy with the templates that SRGFX produces. I will recommend them to anyone looking for a realistic template! !